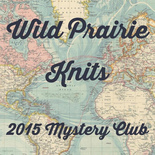 Originally released as part of our Wild Prairie Knits 2015 Year of Mini Mysteries. 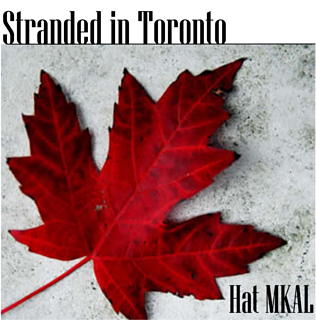 While traveling virtually to Toronto, Canada, we will be creating a stranded colorwork hat (or cowl) while we explore this amazing city and experience its sites, food and people. 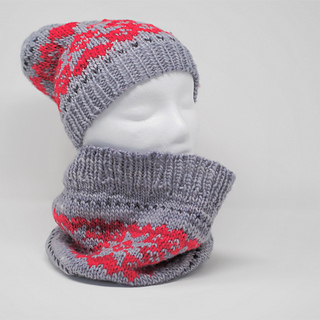 Pattern includes 3 hat sizes and 1 cowl. This is a great introduction to doing stranded colorwork. Once again our friends at Stunning String Studio are offering “Stranded in Toronto” MKAL Hat yarn kits including yarn in your choice of over 150 amazing colors! Our hat will be worked on a warm and luscious DK single ply yarn from the softest wool merino. The pattern discussions will be in the Wild Prairie Knits group, so come and join us. This pattern is knitCompanion® supported. What does that mean? Skills: Pattern is fully written out and charted. The stitches used are all basic, so it is a relaxing knit, but with lots of detail to keep you interested. Basic knit, purl and decreases (k2tog) are included, but anything beyond that will be explained in detail as we go along. 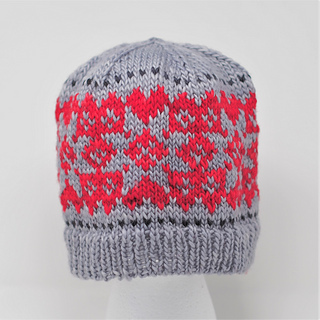 We will be offering a good introduction to stranded color work (fair isle) knitting. Yarn: Stunning String Studio’s Simply Single DK (100% superwash Merino single ply, 240 yds (219 m), 100 grams); MC: 1 skein Pewter; CC1: 60 yds Lipstick Red; CC2: 6 yds Little Black Dress. Or any comparable DK weight yarn. Yarn Kit is also available. Recommendations: Pattern was written with highly contrasted solid/semi-solid colors in mind. Needles: US 7 (4.5 mm) 16” (40cm) circular needle (longer if using Magic Loop); or size required to obtain gauge. Gauge: 16 sts and 24 rows = 4” (10 cm) in unblocked stockinette stitch. Be sure to check your gauge for proper fit. Other: 9 Stitch Markers, 1 Contrasting Stitch Marker; Optional: Pom pom maker.